With the growth of data-in-motion, enterprises are challenged to manage streaming data and get actionable intelligence in real-time. Hortonworks DataFlow, or HDF, provides the only end-to-end platform that collects, curates, analyzes, and acts on data. The biggest challenge with getting streaming data insights is acquiring the data in the first place—quickly, securely, and prioritized for analysis with clear traceability. 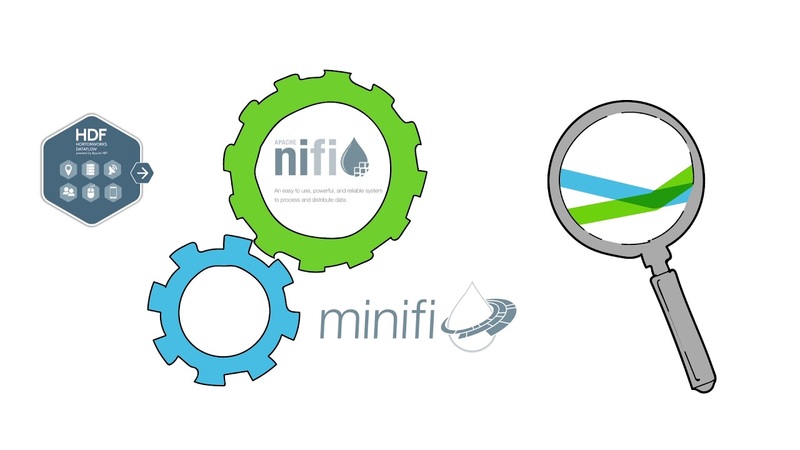 HDF Flow Management, powered by Apache NiFi and MiniFi, meets this challenge while providing real-time operational visibility, control, and management of the data flow. The Streaming Analytics Manager within HDF allows you to use that data to create analytics applications in minutes without writing a single line of code. Using prebuilt analytical functions, you can design, develop, deploy, and manage analytics applications using a drag and drop interface. Use the alerting feature to take action as soon as insights are found. In fact, you can deploy applications with the simple push of a button! HDF Enterprise Services provides comprehensive provisioning, management, monitoring, security, auditing, compliance, and governance that’s integrated with the rest of your Hadoop environment. With a central schema repository, you can easily manage and govern the schemas needed for data flow across the enterprise for faster analytics application development. Hortonworks DataFlow -- the data flow and streaming analytics platform for faster insights to your streaming data.